A Father of the Groom Speech is a proud moment for any father whose son is getting married. It’s a milestone in both the father’s and the son’s lives. It’s also a time of great joy as a new member is welcomed into the family and as parents look forward to grandchildren down the road. The relationship between a father and his son is usually very close which makes your presentation an important and significant one. Of all the wedding speeches, this is the one that your son will listen to intently. Your speech will at first be directed towards and talk primarily about your son. You will talk about how pleased you are to see your son grow into someone who you can be proud to call your son. The secret to the Father of the Groom Speech is to include the Bride as well. Because you’re not only addressing your son, you’re addressing the couple as they begin a new life together. Be sure to comment on how lucky your son is to have found such a wonderful woman. This can also be a topic for light humor as you shake your head in feigned amazement at how your son was able to find someone who could put up with him. In addition to including the Bride in your speech, it’s appropriate to also welcome the bride’s family. Include a comment on how pleased you are to know them and how you and your wife look forward to getting to know them even better. Most people don’t know what to talk about in their speech. 1. You can talk about memories of your son as he was growing up. 2. You can talk about your son’s accomplishments. 3. 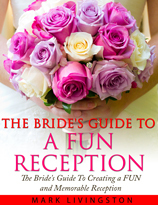 You can talk about your first impression on meeting the bride. 4. You can talk about your son’s “habits” and how they changed once he met the bride. For example, your son might have been a bad dresser before but after meeting his future wife he was into fashion and wearing stylish clothing to impress her – for which you’re thankful. 1. You can include humor, sentiment, anecdotes, words of wisdom, or quotes to get your point across. 2. You might also indicate that you speak on behalf of your wife and yourself unless your wife will be addressing the guests as well. 3. Don’t ramble on or be long winded. Keep your sentences short and easy to understand. 4. Don’t use words that people don’t understand – it will make you look pompous and it will lessen the effect of your presentation. 5. Your tribute should be about 3 to 5 minutes in length and should end with a toast to your son and his new wife. 6. Don’t read your notes. Instead, look at the audience and focus your attention on the newlyweds. 7. Rehearse what you’ll say until you feel confident you can deliver a polished tribute. Let’s face it – writing a speech isn’t easy. And it takes the right words to create the sentiments you wish to convey. That’s why sample speeches are such a good idea. They’re inspirational and give you ideas on how to word your tribute. Best of all, they make the writing process a lot easier. There’s no stressing over what to say or how to say it. You have professionally written examples right in front of you to guide you step-by-step so you can convey the right mixture of pride and love. The Bride and Groom will hang on your every word when you rise to address them. And when it comes to the Father of the Groom tribute, the Groom in particular will be listening intently to what you have to say. No matter what you choose in your tribute to your son and his new wife, every single word you speak will have a deep meaning – especially to your son. So it’s important that you start your presentation with impact. And that’s where examples can help you a lot. Instead of staring at a blank piece of paper wondering how to begin, you’ll instantly see how to lead off your presentation. This is where you get inspiration and ideas when you craft your own tribute. You add your own content. You choose the words that best convey your feelings and sentiments. And you finish on a high note with a toast to the Bride and Groom. These days we want things to be done quickly and easily. 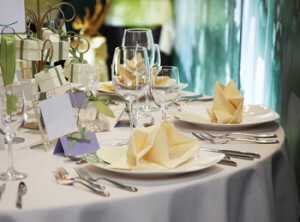 But when it comes to a wedding, you also want to be thorough. And you’ll feel terrible because you missed including important people in your presentation. You don’t want to leave out significant parts of your presentation simply because you didn’t have a guide by your side to take you through the writing process. That’s why I recommend you use examples to help you with your writing. What better way to honor your son on this special day of his life than with a speech you wrote from the heart…and from Wedding Speech Examples. Your Father of the Groom speech shouldn’t be a time of anxiety and stress. Instead, take the time to prepare a tribute that you’ll be proud of because it conveys your heartfelt feelings towards both your son and his new wife. Groom Even If You're A Novice MC! Click Here To Find Out How To Create A FUN Wedding Reception! Your Marriage Should Be HAPPY and Joyful! 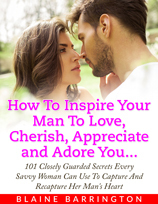 Click the link for How To Inspire Your Man To Love, Cherish, Appreciate and Adore You and discover how to capture and recapture your husband’s heart after the honeymoon! Bride to be? 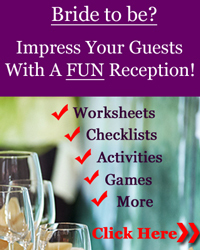 Find Out How To Create A FUN and Memorable Reception For Your Guests. 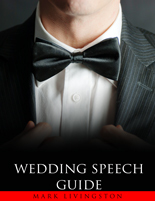 . .
Bride Speeches, Best Man Speeches, And More at Wedding Speeches Secrets To Create A Memorable Reception For The Bride and Groom. Wedding MC? 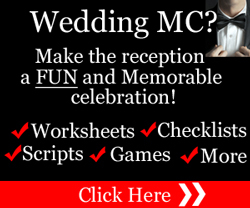 Check out How To Be A FUN Wedding MC and create a FUN and Memorable Reception!